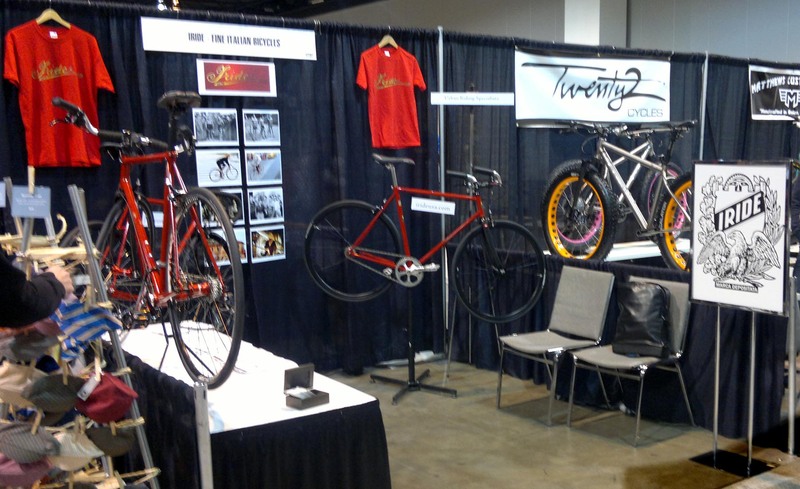 North American Handmade Bicycle Show. 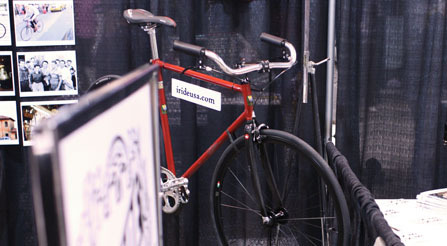 NAHBS Exhibiting urban riding cycles of Iride, fine Italian bicycles, for velodrome or pavement. 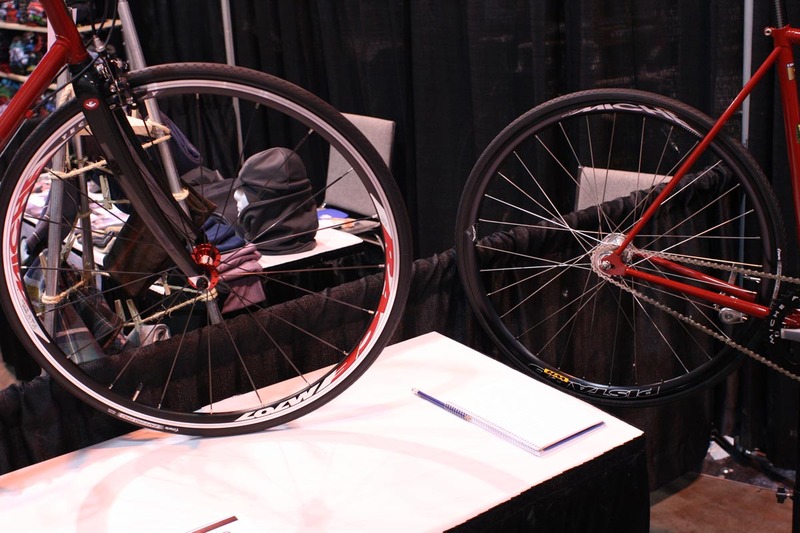 Roadsters and track bike at the elite consumer bicycle trade show. 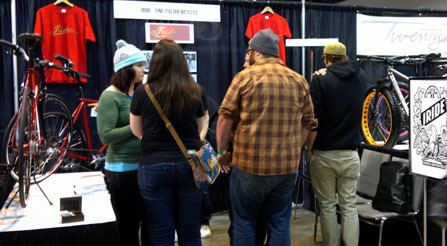 Once it got going, the curious began to fill the booth at the Handmade Bicycle Show. 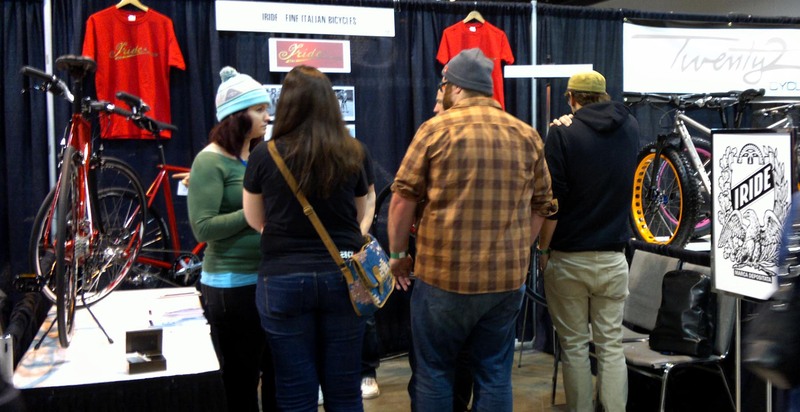 But first, the booth must be built. 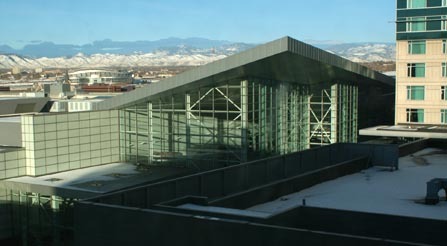 At the Denver, Colorado Convention Center, downtown, by the giant blue bear. 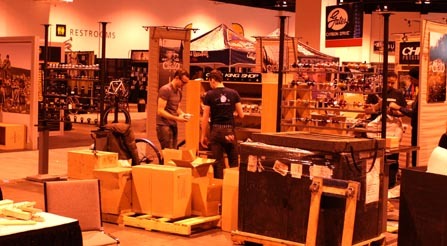 Load in at the Denver convention center underway. 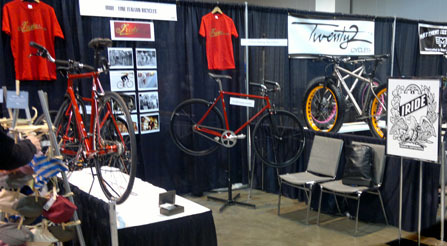 featuring Chris King hubs and bearings, Continental tires, Gates belt drives, and Bishop Bicycles. 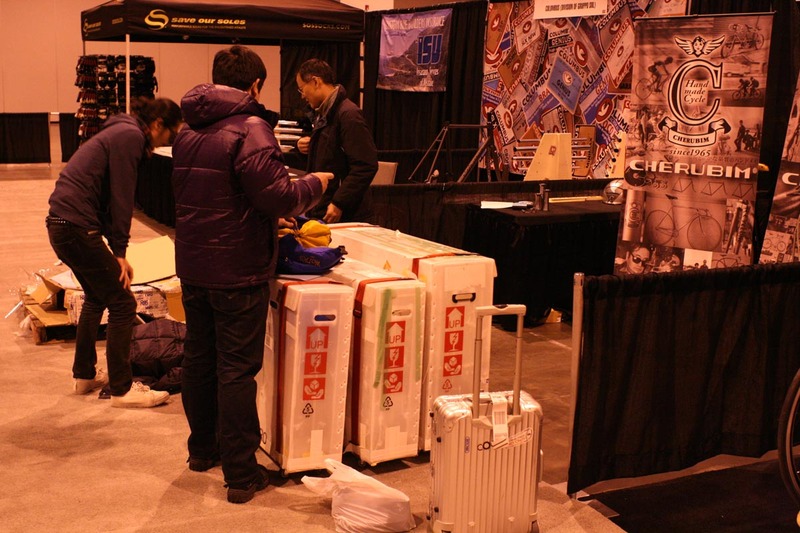 Bicycle makers from around the globe travel to the handmade bicycle show. 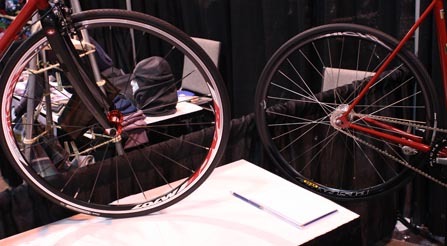 Here are Cherubim from Japan, and Columbus from Italy. Potential weather, Denver in February. Here is what the weather can be in Denver in February. 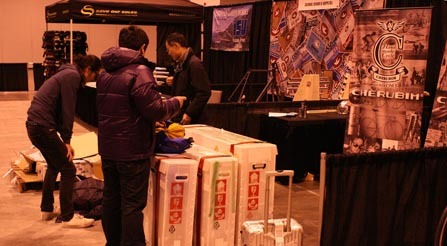 Next day, terrible snow, stranding many. 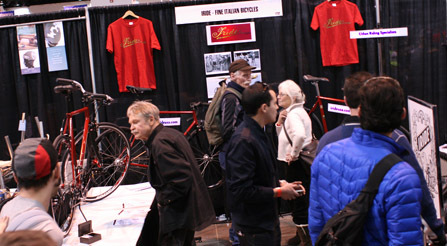 A wide view of the entire scene down row number one at the North American handmade Bicycle Show #NAHBS. Everyone is comfortable in their position. 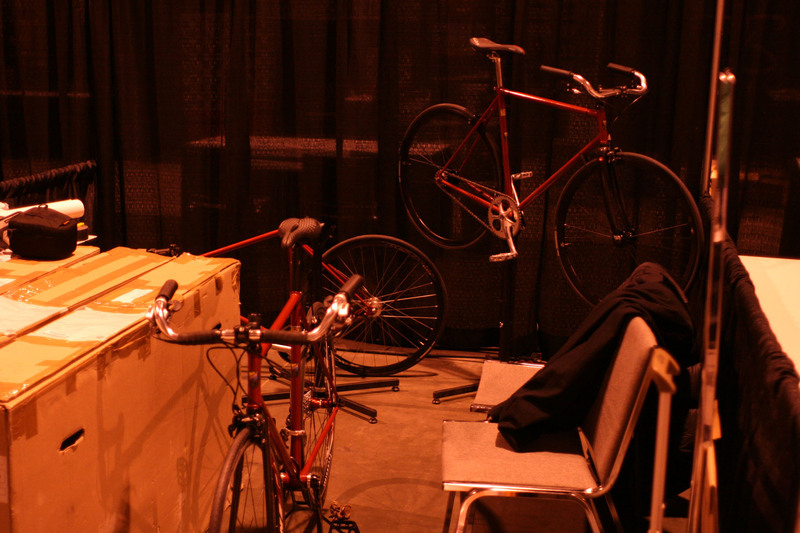 Nice contrast of the fully equipped Volatore and the singularly specific Bici Pista. 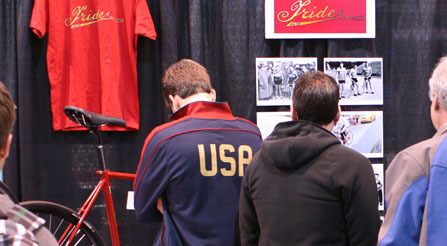 Patrons of the North American Handmade Bicycle Show are compelled to enter the display to investigate and learn new things. 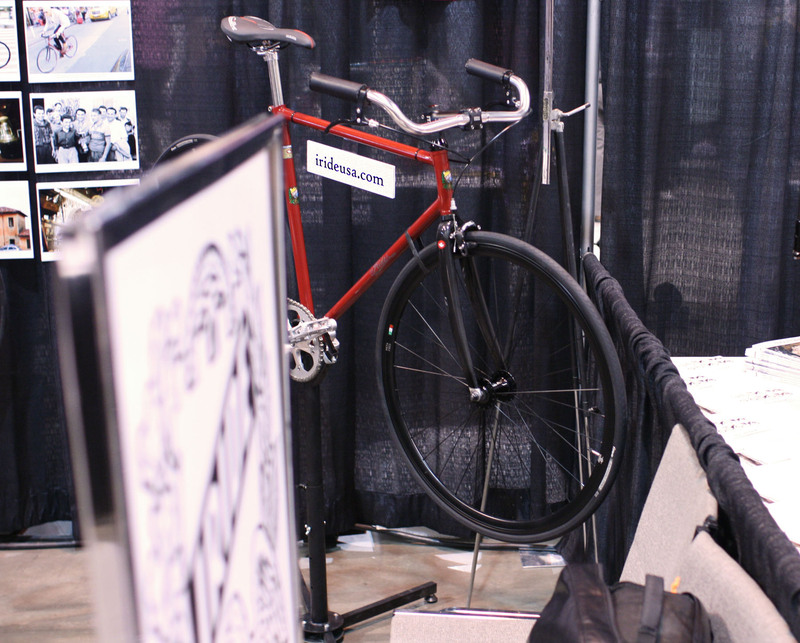 A quick peek at the super fine Monello single speed by Iride. Many people are nuts about bicycles. 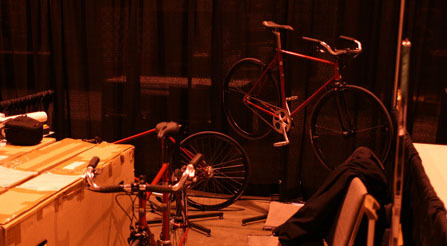 Many people at the Denver, Colorado Convention Center, NAHBS 2013, are nuts about bicycles.